Take-up rate at Amber 45 continues to increase. New project The Tre Ver to be rolled out in 3Q18. Inching up stake in UIC, builds exposure to the rising office market and recurrent income base. 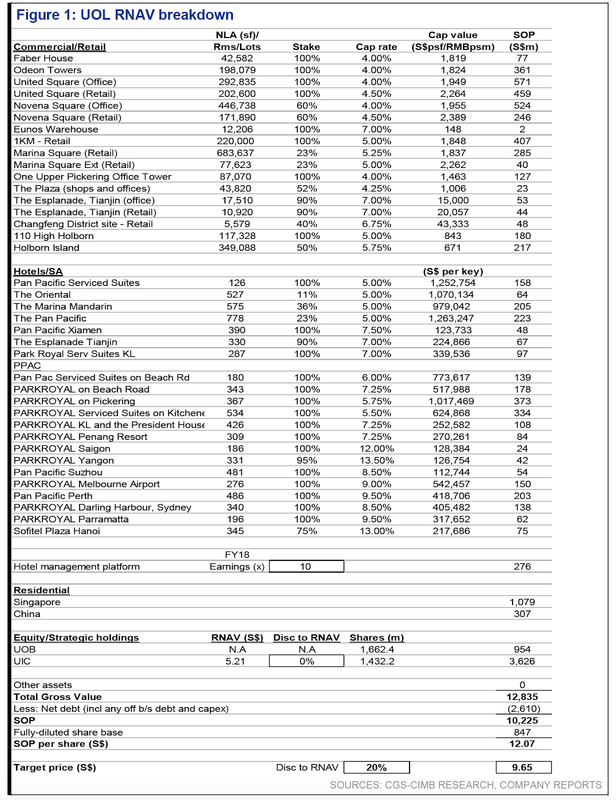 Maintain ADD with unchanged Target Price of S$9.65, based on 20% discount to RNAV. We visited UOL’s Amber 45 showflat and found that the take-up rate for the project continues to improve, rising from c.55-60% (of the total 139 units) during the initial launch in mid-May to c.65% at present, indicating continued buyer interest in the development. The project is slated to be completed in 2021. Designed by ADDP Architect, Amber 45 is impressive with high-quality finishing and well- thought and efficient layout, in our view. Most sought-after are the 2-bedroom units which range from 614-872sf per unit. The 3-bedroom units range from 1,130-1,324sf while the largest configurations are the 4-bedroom units with 1,346-1,798sf. Buyers are largely Singaporeans and prices average c.S$2,200psf. Following this success, UOL plans to release The Tre Ver (former Raintree Gardens enbloc site) in 3Q18. The 563,941sf GFA site can house about 729 condos. This land parcel was acquired in late-2016 at a lower-than-current land cost. We estimate a breakeven cost of c.S$1,200psf. Based on an estimated selling price of S$1,400psf, UOL should generate a healthy PBT margin of c.15%. This will continue to extend UOL’s residential income visibility. 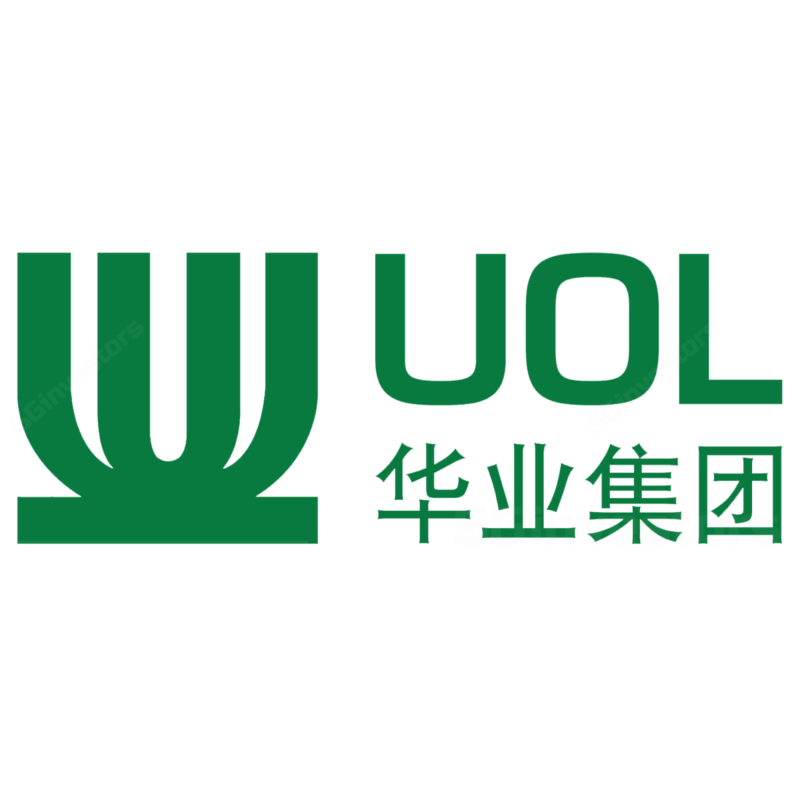 Meanwhile, UOL has been acquiring UIC shares in the open market and has increased its stake to 49.985% as at 12 Jun. This would likely expand the group’s exposure to the rising office leasing market in Singapore as well as build up its recurrent income base. Overall, UOL (plus UIC) owns 5.6m sq ft of office and retail investment properties, making it one of the larger landlords in Singapore. UOL’s share price has declined in recent weeks, in tandem with other property peers. At the current 34% discount to RNAV, UOL is trading slightly above its long-term average discount trend. Hence, we maintain our ADD rating with an unchanged target price of S$9.65. Given its strong balance sheet and net-debt-to-equity of 0.21x, we think UOL can deploy more capital into new investments, which could catalyse its stock price. Downside risks to our call include slower-than-expected pace of sales for new launches.